In 1990, the world was a very different place. Nelson Mandela had just been released from prison, Margaret Thatcher was still in power, and the Hubble Space telescope was launched into orbit. This was the dawn of the information age, with the world wide web just a year away and science set to change beyond recognition (though it’s fair to say both technology and taste still had a fair way to go). Despite some major world-changing events taking place at the time, media of more immediate concern to my six-year-old self were such pressing issues as which magazine to buy (Horse & Pony, of course), what was on at the cinema (Home Alone), what to listen to on the radio (Madonna’s Vogue) and what to fight with my older brother over to watch on TV. Amongst the various cartoons, BBC dramas and other viewing termed suitable by our parents, Delia Smith was a firm family favourite. This was an era post Fanny Cradock, yet nearly a decade before the likes of Jamie and Nigella first appeared on our screens, launching a whole new wave of kitchen enthusiasts and the start of our current obsession with cookery programmes. While Nigella flirts and slurps and Jamie rips and rummages his way through a kitchen strewn with fabulous foods from around the world, Delia portioned everything into perfect little pre-prepared white bowls, carefully instructing us step-by-step and introducing the early 90s viewer to such exotic ingredients as anchovies (pronounced with a Loyd Grossman-esque long ‘o’ which always made us giggle). While Delia may not have the casual confidence or slinky seduction techniques of a Jamie or a Nigella, she always made a jolly good British meal, and I still remember the excitement of watching her make sticky toffee puddings in an episode of Delia Smith’s Christmas all those years ago. Sticky toffee pudding is the ultimate winter warmer, a British classic of unconfirmed origin – some say it was invented at Sharrow Bay Country House Hotel in the 70s, while others claim a much more ancient heritage – and the kind of comfort food that puts warmth in your belly and a smile on your face. Delia’s version sees eight individual puddings baked in the oven before being drenched in a thick, sticky sauce and returned to the grill for a further five minutes to crisp and caramelize. I’ve never much liked traditional Christmas pudding, and watching these sweet little sponges emerge from the oven, I imagined that when I was older these would be the dessert that would feature on my Christmas menu (along with chocolate coins, chocolate oranges and very few Brussels sprouts. . .). It’s not quite Christmas yet, but winter is starting to make itself known. Last week we put the heating on for the first time this year, and I feel like the time has come to replace ice creams and sorbets with something altogether more comforting and hearty. Sticky toffee pudding should never be stodgy or dense, but it provides a sweet satisfaction on a cold winter’s day that only a syrupy sponge smothered in lashings of thick, hot sauce can. The version below takes some tips from Delia, but has been tweaked to my personal taste. I like plenty of thick sauce and a pudding with a crispy top but fluffy middle, so have replaced the grilling method with a minute or two more baking, and preferring a smoother pudding have omitted the addition of nuts. Flavour and texture can be tweaked as you see fit – great add-ins include a handful of pecans or walnuts, a splash of rum or whisky and a pinch of ground or crystallized ginger, although I’m not sure this latter addition doesn’t turn it into a ginger pudding and a slightly different proposition altogether. However you make your puddings, be sure to serve them hot, with a little jug of extra sauce for the ultimate indulgence and lashings of ice cream or thick pouring cream to cut through the buttery sweetness of this great British classic. Enjoy. Preheat the oven to 175 degrees C. Grease 4 individual pudding moulds with butter. Put the dates, water and rum into a small pan and bring to the boil over a medium heat, then simmer for about 5 minutes, stirring occasionally, until the dates are very soft. Stir in the bicarbonate of soda and set aside to cool. Meanwhile, sift the flour, baking powder and a pinch of salt into a bowl. In another bowl, cream the softened butter and the sugar together with an electric hand whisk until light and fluffy. Add the egg, golden syrup and vanilla extract and whisk again to incorporate. Fold half the flour mixture into the creamed eggs, butter and sugar, followed by half the dates. Do the same with the remaining halves until all ingredients are fully incorporated. Divide equally between your four moulds, set on a tray (this will save your oven in the unlikely event that they spill over the top) and bake for 15-18 minutes, until the top is golden, a skewer comes out clean and the middle is just ever so slightly squidgy. Melt the butter, sugar and double cream in a small pan. Bring to the boil then simmer for three minutes until smooth and thickened. Make a small slit in the top of each pudding and pour in about a teaspoon of sauce. Drizzle a little more over the top and return to the oven for a couple more minutes until golden and bubbling. Remove the puddings from their moulds, slather on another coat of sauce and serve with a dollop of cool creamy ice cream or a little jug of cream. Yum. Sticky toffee puddings are one of my all-time favourite puddings and I just know that a Delia recipe is going to be perfect. Also, you were a much cooler 6 year old than I was. In 1990, I was the biggest Jason Donovan fan. What a great post! What fabulous writing! And ooooh if I haven’t yet made a sticky toffee pudding then I have just been inspired! Gorgeous and tempting! And who doesn’t prefer a single, personal portion? Fabulous! These do look a proper level of stickiness. I’ve only eaten sticky toffee pudding once, but I think I might have give it another go. I’m presuming I can indulge the clotted cream habit you’ve given me with this as well? YUM! Jamie – aw, thank you. Individual portions are definitely the way forward – this is more than big enough to satisfy the sweetest solo tooth! Urvashi – my pleasure, so pleased you like the post. My friend made a sticky toffee pudding for our monthly Sunday roast catch up last weekend. It brought a smile to all our faces. Loved the part about Lloyd Grossman’s long “Os”. When I was 5 my ambition was to go on junior masterchef.. guess I missed the boat a bit. Oh well. As the weather begins to get steamy here in Syndey, I feel myself (almost) wishing it was cooling down so I could make this beautiful dish! I think this will be the first thing I make when winter comes next year! Sticky toffee pudding is my absolute favorite dessert! These look sooo delicious! This is, without a doubt, my all-time favourite pudding. Nothing beats it, apart from maybe treacle tart. I like that you’ve made both in the last month or so – clearly someone after my own heart! Ruthie – I used to love watching Masterchef when I was little. John and Greg do a good job nowadays, but Loyd Grossman will always be the first person I think of when I hear the word ‘Masterchef’! Lorraine – Delia feels pretty dated on TV now, but her recipe books contain some real classics. These look delicious! 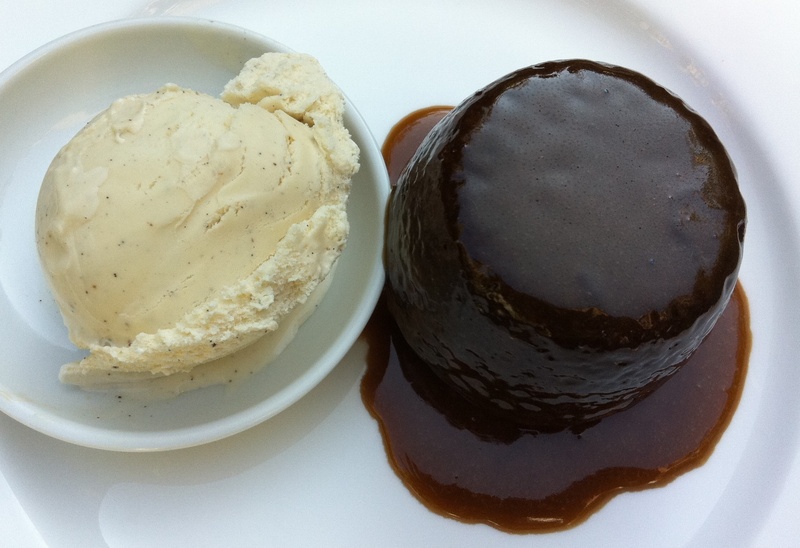 I love eating sticky toffee pudding after a roast dinner, but it must be served with pouring cream! I am drooling on my keyboard looking at these! I never used to like sticky toffee puddings but now I love them. I love Delia too, but come to think of it I’ve never actually tried one of her recipes. 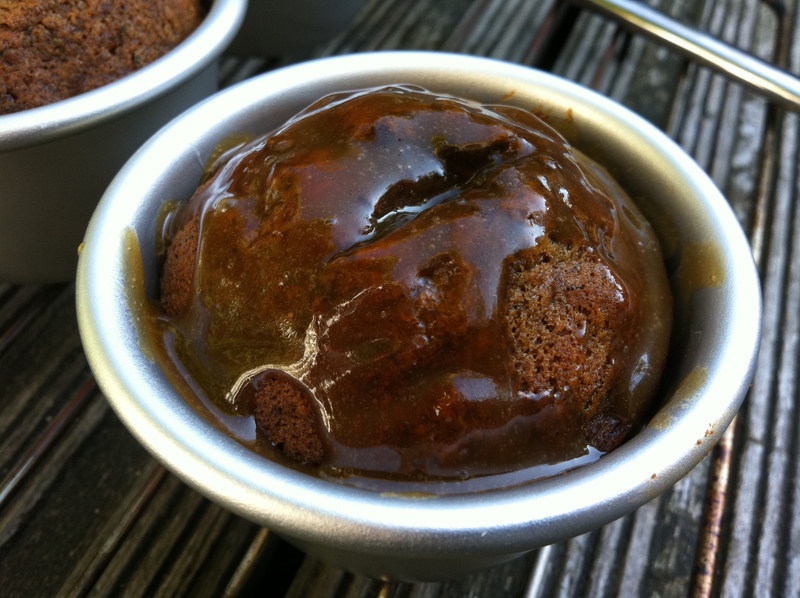 I love the look of these sticky toffee puddings though. You had me at the word sticky!! I am sure this tasted superb.. pudding and ice cream would have to be on my to die for foods. yumMMY! 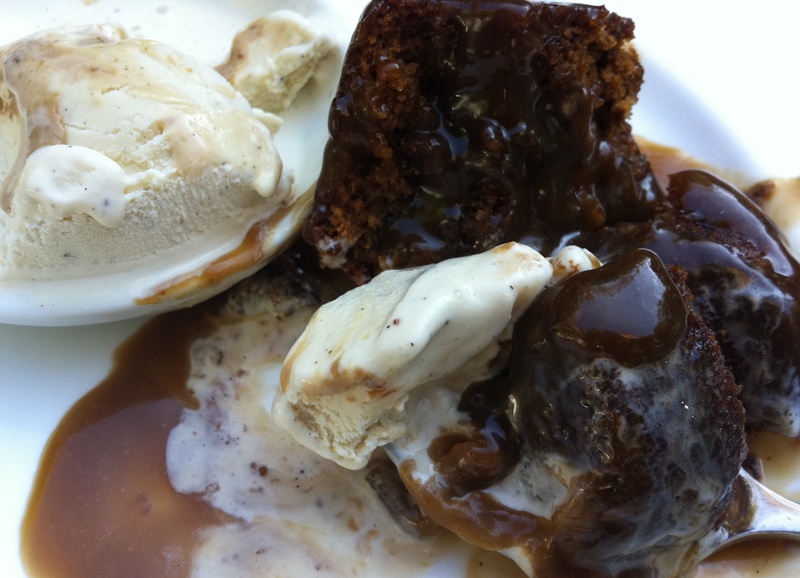 I love vanilla bean ice cream and sticky toffee pudding. what a great combination isnt it? lovely! Mandy – I think ice cream is my favourite accompaniment, but if offered pouring cream I wouldn’t say no! Jennifer – Delia writes some great classics, definitely worth giving her recipes a go. She’s my fall back if I want basic techniques which I can then develop in my own recipes. Amy – you definitely need to try this 🙂 Would be a great alternative to Christmas pudding too. 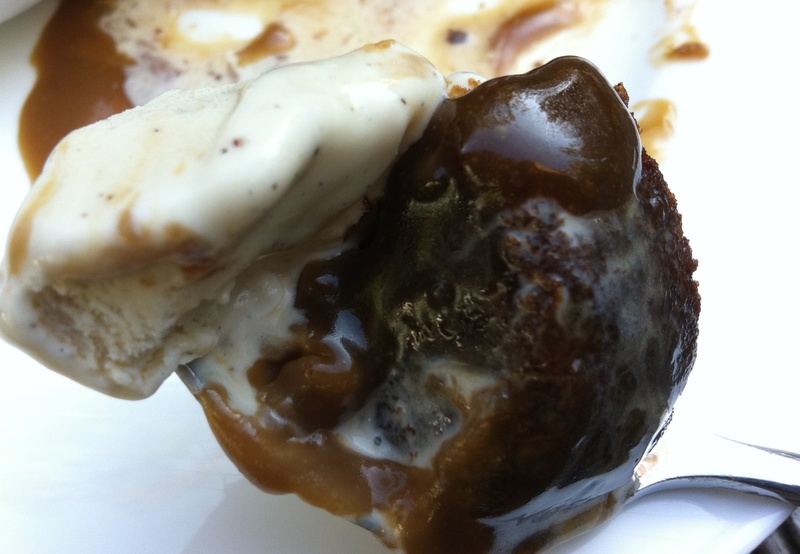 Sherilyn – hot pudding and cold melting ice cream is a combination it’s hard to beat. I like a good helping of sauce as well, and of course the side of vanilla ice cream doesn’t hurt either. Delia is still my “go to” resource if I want to read a recipe or technique. The newer, more tv friendly, chefs are ok but Delia remains the only one for me! Your STP looks fab. I could eat it right now even though it’s only 8.25am! you know you’re onto a good vanilla ice cream when you can see the flecks of vanilla bean! the pudding and ice cream is a wonderful pairing and they both look fantastic. I’ve never had sticky toffee pudding, but I have seen many recipes for it. I might give it a try soon. Sylvie – lots of sauce is an absolute must with this pudding! The Caked Crusader – nothing wrong with craving desserts for breakfast 🙂 And yes, where would we all be without Delia?! Rayna – definitely give it a go, you won’t be disappointed. 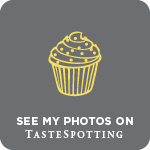 Clare – so pleased you found this post – do let me know how you get on with the recipe. Thank you so much for this recipe! Made it over Christmas and again today for a New Years Day lunch – much loved by all! Had it with home-made mixed spice ice-cream and everybody said it was all delicious! Which considering one person considers themselves a sticky toffee pudding officiando is saying something. Thanks again for a classic start to the New Year – hope you have a great 2012 full of culinary inspiration! Do you think this can be made up to adding the sauce then left and put back into the over for a little longer just before you want to serve? I don’t really want to be cooking lots with guests round….. Excellent! This may have made it onto my 3 course meal list then! They’ve just come out of the oven and I’m just about to bring them round to a friend’s house for the dessert course of a dinner party. Fingers crossed they taste as good as they smell and look! Will post tomorrow. Thanks for the recipe.